A new addition to the family of restaurants at Venetian Hotel is AquaKnox, located on Restaurant Row. 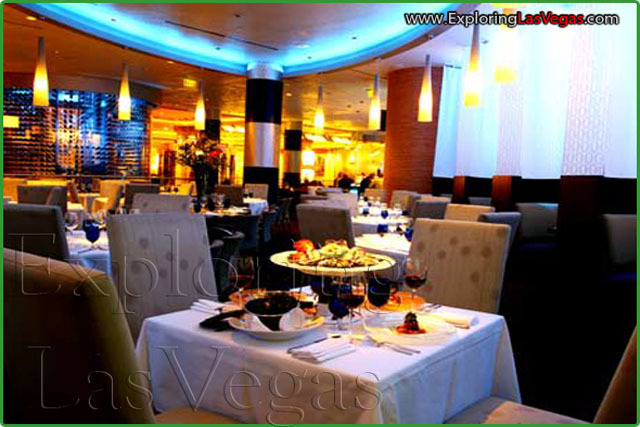 In 2004 AquaKnox earned Taste of Vegas Dining and Nightlife Guide's award for being the Best New Restaurant in Vegas. In the four years that have passed, the restaurant has had plenty of opportunities to get even better. It is a little bit expensive, but sometimes in life paying a little bit more pays off. For example, at a restaurant you are paying both for food and for atmosphere. 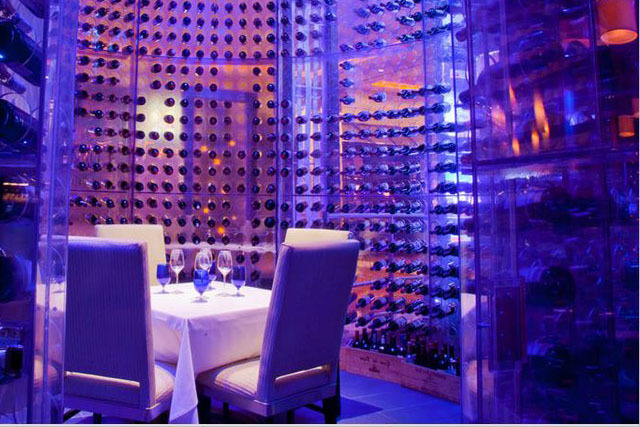 AquaKnox's water-encased wine cellar and water colored decor set the restaurant's entire tone. The open kitchen makes AquaKnox even more alluring and inviting. The culinary delights here center, as you might expect from the name and decor, on seafood. Fresh seafood is flown in every day, so each seafood dish has spectacular flavor. AquaKnox features a sublime "raw bar." Caviar is popular here as well. Other menu options that do not come from the sea are butternut squash soup and filet mignon. Private parties are accommodated here in a private banquet room that can seat up to 85 guests. This makes it perfect for upscale business events and more. Whatever your reason for dining at AquaKnox, the staff will do what they can to make your dinner a delight. Take your dinner hour to relax before moving to your next Las Vegas adventure.